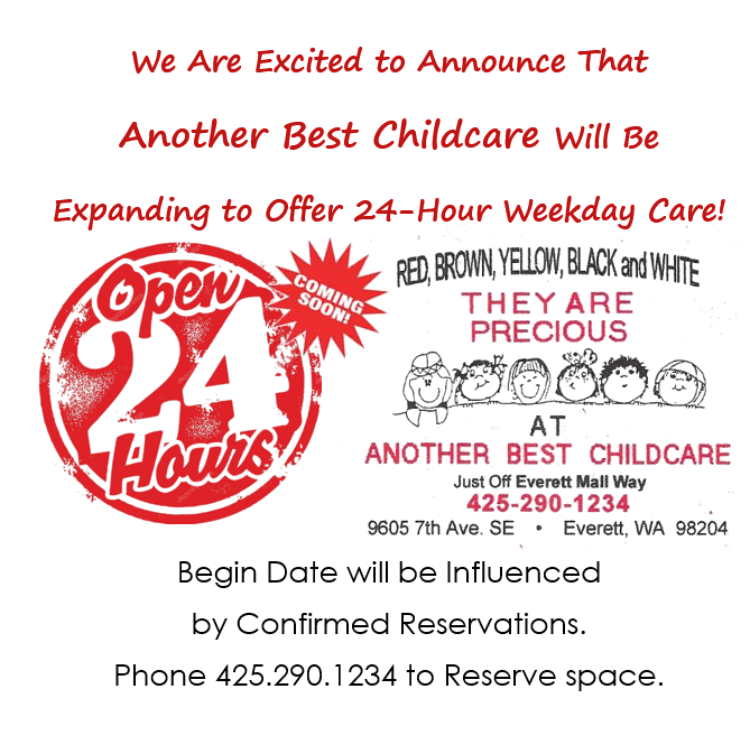 America’s Best Childcare in Silver Lake and Another Best Childcare in Everett and Marysville are committed to providing a safe, nurturing, and educational Christian environment for children 1-12 years of age. As a Christian childcare center we are dedicated to equipping each child with a positive and loving atmosphere. Along with educational basics, children are taught life-skills, manners, and values to apply as they grow through their formative years and beyond. With our affordable rates and quality, loving instruction from our well-trained staff, we are certain that your child will consistently thrive and learn throughout their time with us. We have delivered a loving and rewarding experience to hundreds of families over the years and look forward to working with yours.